If you’re looking to have your move professionally done, then one of the first things you should do is contact a moving company and reserving your date. You should do this with a few weeks in advance. Sometimes you might need to have an onsite quote so calling last minute is not a good idea, especially if you must be out of your house by a certain date. Start by calling around to get ideas of pricing. 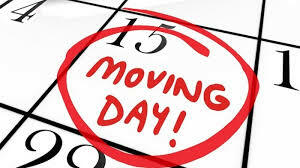 We recommend choosing our services, whether it is packing, loading or the full service move Affordable Moving Services LLC takes great care of you. How can you figure out what you need and don’t need anymore? Ask yourself, when was the last time I used this? Does it hold any sentimental value? If you’re packing, how many boxes do you need? Are there large items that need special moving? Such as safes, or pool tables? Take measurements of your furniture and the space in your new home. Separate your valuables, and other items that you will be taking. Defrost and disconnect all appliances, closer to your moving date. When you prepare for you move separate the things you’re taking with you, whether it is fragile items, valuables, or your personal items. Give your movers a tour of your house and any specific instructions. In your new house also give them a tour of the house and let them know where you want your furniture and belongings placed so it will be easier for you when unpacking.